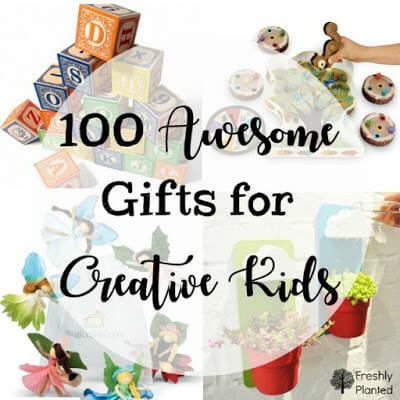 So many of our creations are born out of necessity! 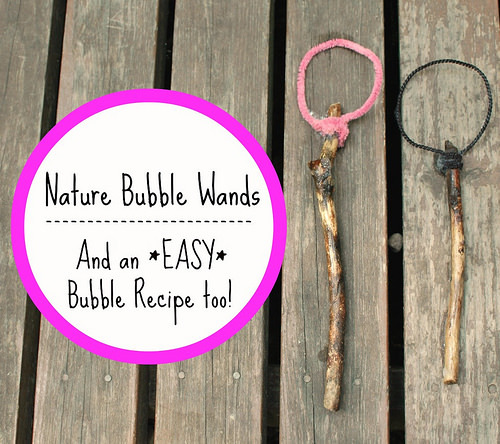 Since we've been making our own bubble solution (recipe to follow below), I've stopped purchasing those little plastic bottles with their handy wands. While I often find our old wands around the yard, it was rare to find as many as we needed when we needed them. So I decided to figure out a sustainable way to replenish our dwindling supply- and make more (quickly!) as needed. Sticks are never in short supply around here, so I was happy when I came up with this functional, easy design. 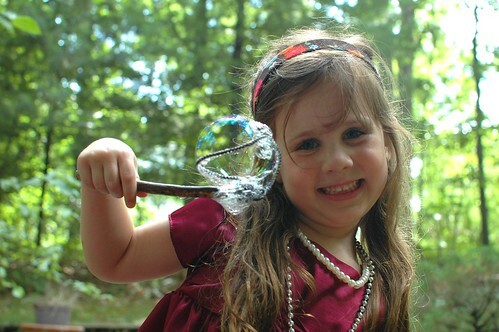 Easy enough for kids to make too, you just need sticks and pipe-cleaners. First, find the perfect stick (a very important mission around here!) then wrap your pipe-cleaner around it. 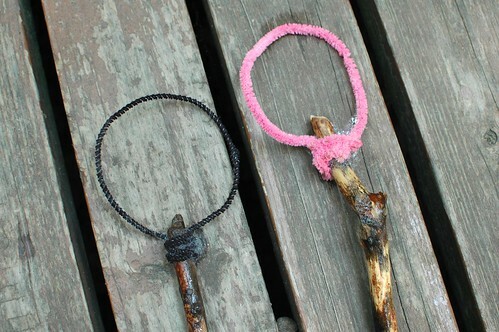 We wrap an end of the pipe-cleaner around the top of the stick, make a circle, then wrap the second end over it. The sticks are great for little hands, and it's nice to be able to make extra wands easily for unexpected friends. 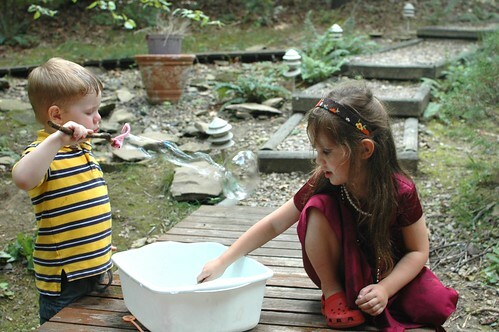 Bubble-blowing is a favorite past-time around here. 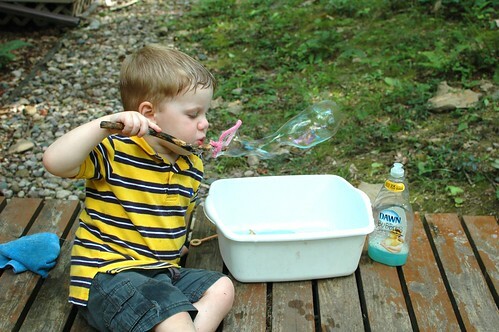 For individual bubble-blowing I still prefer this handy trick, but a plastic tub (or large, flat skillet) is my favorite for group play. I've also come up with a special way to store our bubble solution! 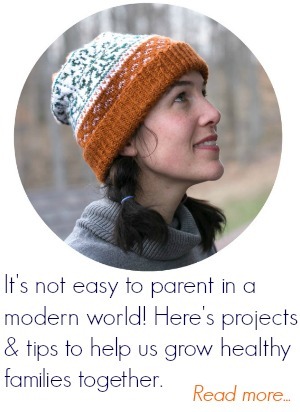 I love mason jars, but slippery solution & little hands make me nervous with glass. So I've been using a funnel to pour our bubble solution into a large Dawn dish soap container. Perfect! We can dispense just a little as needed, and I'm not worried about anything breaking. Since I tend to forget these things, I did mark "Bubbles" on it so that I (or anyone else) didn't try to use it for dish-washing. Why Dawn? It's become our favorite for house-cleaning and now bubbles too. I've included it in our recipe below. And don't throw out that extra solution! Funnel it back into your container to be used over & over again. It gets even better with time! 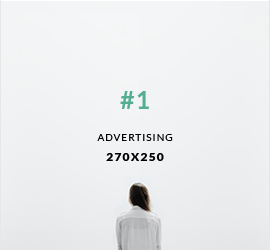 We've tried lots of solutions over the last couple years, and this is definitely our favorite. Not only does it make amazing bubbles, but you can use it right after you make it. Which is perfect if, like me, you always forget to make things ahead of time (wink). First, mix your Dawn detergent with the 5 cups water. Make sure you measure carefully, a perfect task for little eyes (for very littles, I mark the outside of a dry measuring cup with a dry-erase marker so they can see the line better). Then stir in your glycerine, and you're done! Recipe shared from "Kids Cooking: A Very Slightly Messy Manual" from Klutz. It's out-of-print right now, but we love our copy. Awesome! I really dislike the plastic wands that come with the solution anyway. Quite often they get "lost" to the bottle. These are really cute! Thanks for sharing the recipe for your bubble solution as well. Have everything on hand, so I'll try whipping up a batch later. This is really cool! 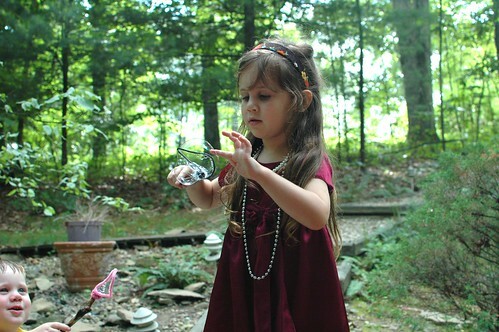 Bubbles are always like fresh breeze, and kids love it while it helps them to be happy and focused. Win-win. They're always a great way for us to change our day around! Thank you for your kind words.